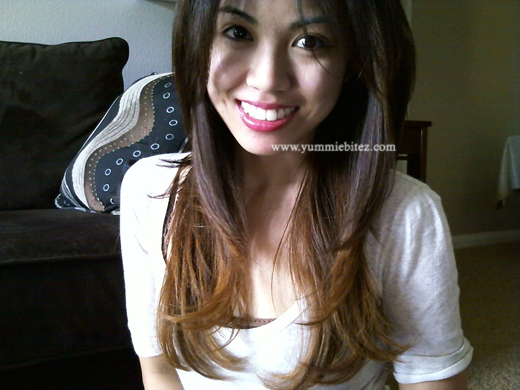 Ready for Summer With My Ombre Highlights! This past Saturday, I had decided to take the plunge and go lighter. 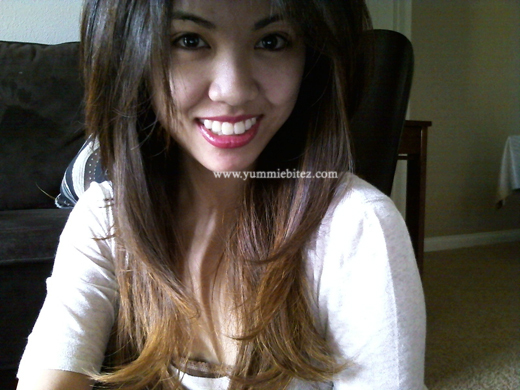 I wanted to be summer ready and got my ombre highlights. I'm officially a quarter blonde. See after the jump for more pictures! I was a little worried the getting Ombre highlights might be a little too "wild" for me, but I really liked how it turned out! Kim did an awesome job making it look as natural as possible. I told her that I didn't want my tips to be too yellow or orange and had expressed my concerns of my fear of frying up (after a manic episode after a salon visit with a different stylist). She was very attentive and examined my hair carefully. She told me what she's going to do first before proceeding. I love how she styled my hair that day too! I wish I can keep her with me to do my hair all the time. In the end... my tips are dusty blonde/caramel color which is what I had in mind. Even my mom really liked it, and she's kinda hard to please when it comes to my choice of hairstyles. I looove my new hair! It definitely brightens up my face much more. And it's a great change from my normal black hair. If you're ever in the Santa Clarita, CA area, check out Shannon Hair Salon in Valencia and look for Kim! Let her know I sent you! FTC: All services were paid by me. This is not a sponsored post, and as always these are my honest thoughts. I love the ombre highlights on you!!! Your stylist did a fabulous job! You're making me want to lighten my hair, haven't done so in years! & love how your hair is so flowy & bouncy!! Oooh! I like the way your hair turned out! 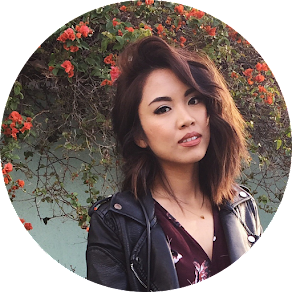 I've seen a lot of bloggers out there getting ombre, but I think the 1/4 blonde really works on dark hair the best! It looks GREAT! Your hair is so pretty! 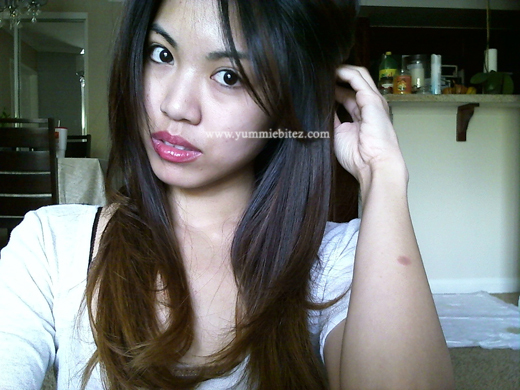 Love your ombre highlights! Lookbook: Knee High in the Sky and NEW blog link!